The only thing more important than what comes out of your exhaust pipes is what goes into them. Duraflo is a U.S. manufacturer of Diesel Emission Fluid (DEF) storage and dispensing systems that help accurately meter and dispense a urea solution into the urea tanks of your diesel-powered vehicles. Fleet and maintenance managers in the petroleum and diesel industry know the proper care and EPA compliance of their selective catalytic reduction engines spell the difference between keeping a fleet rolling in dough or stuck in red tape. Duraflo is a proven technology you need to ensure your DEF tanks are full and in full compliance. Accurate. Your vehicles have the precise amount of diesel fluid they need at any given speed. No alternate periods of dryness or overflow. No wasted diesel fluid. No extra expense. You don’t pay an extra dime to get the extra mile. Built specifically for your unique fleet vehicle requirements. 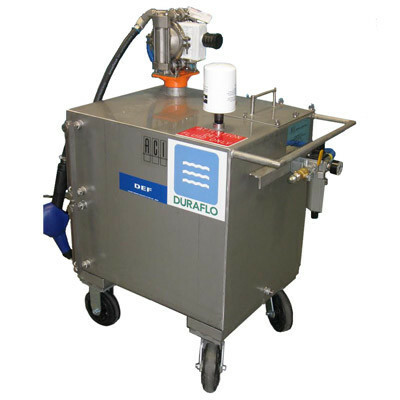 Duraflo’s in-house engineering department custom manufactures your diesel emission fluid storage and dispensing system. From simple metered fill systems to in-garage diesel fleet maintenance. By the first manufacturer of DEF systems in the U.S. With a trained service department available to give you 24/7 support. Compliance. This practical, functional, made-in-the-USA solution for your SCR diesel engines meets the stricter EPA standards for NOx emissions now … and is designed to change and adapt to equipment upgrades and compliance standards in the future. 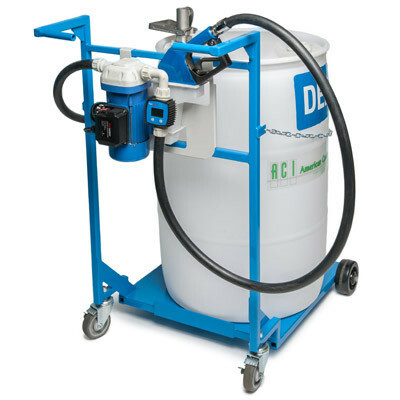 Diesel Emission Fluid compatible tanks, totes and drums with electric dispensing equipment. DEF (Diesel Exhaust Fluid or Diesel Emissions Fluid) is a solution of urea and pure water blended to a specific concentration (32% urea). DEF is used in SCR (Selective Catalytic Reduction) engines as a key component in reducing diesel NOx emissions. 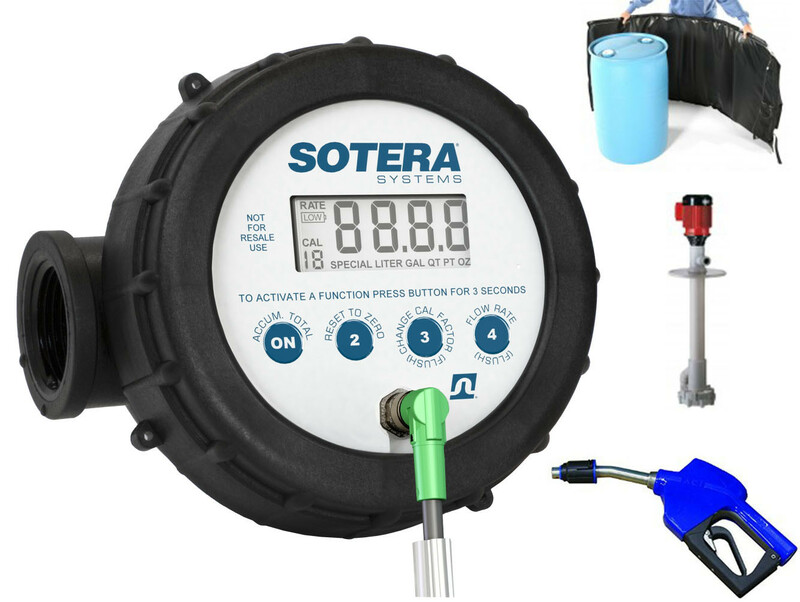 Having a system that works with your SCR engines to accurately meter and dispense the solution into the urea tanks on your fleet vehicles is paramount to meeting EPA lower emissions standards.